Last weekend we made a trip down to coastal Rhode Island to visit a barrier beach and an inland tidal marsh to check the progress of several seaside edibles. The majority of coastal areas in Connecticut are fiercely private and ocean access is very limited all year. 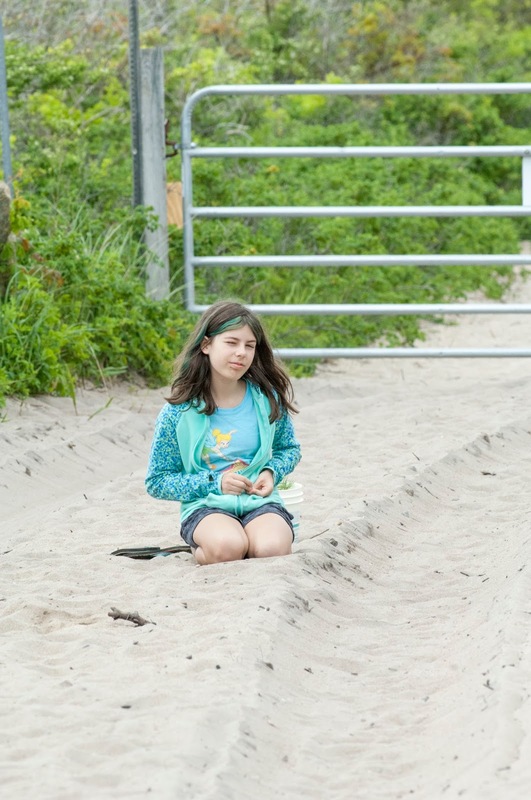 Up until Memorial Day, lots of the Rhode Island shore is easily accessed and the beaches haven't become "private" for residents only, and all of the state beaches haven't started charging yet either. It was cool and breezy, but still warm enough for bare feet in the sand! 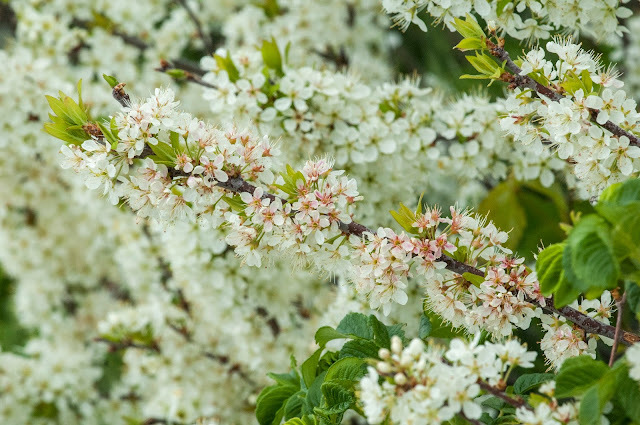 The beach plums (Prunus maritima) are flowering profusely this year, which is a great sign for us. The last two summers we had fairly bad beach plum harvests because of late frosts that killed most of the blossoms in the spring combined with a horribly dry summer that stunted any fruit. We are all out of beach plum jam and wine in the pantry and look forward to the harvest in late August. 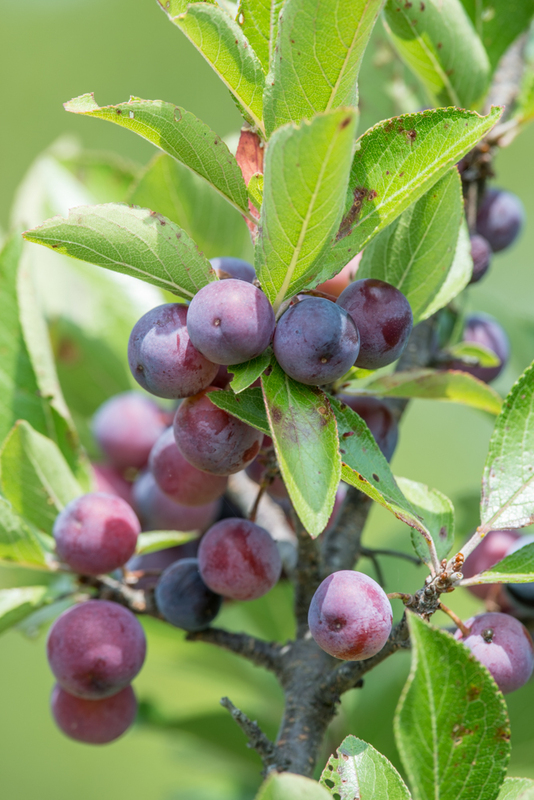 Beach plums are essentially little plums that grow wild among the dunes, wonderfully concentrated and wild in flavor. They are often no larger than a quarter, and have a single pit inside. In good years we can fill our cooler in about an hour; then it takes us an evening or two spent in front of the TV watching something on Netflix while we pit them all by hand for cooking and eating. Totally worth it! 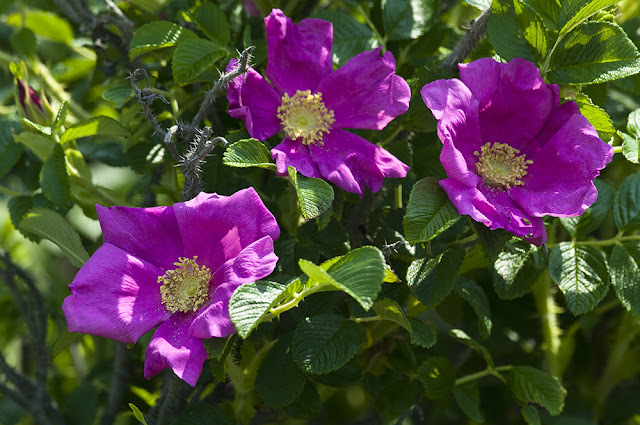 Beach roses (Rosa rugosa) have put out new compound leaves, their prickles are ready for unsuspecting bare feet, and the pink and white flowers are just starting to open. We do collect the fragrant petals to use for syrups and teas, but it is the hips that provide a great food source. 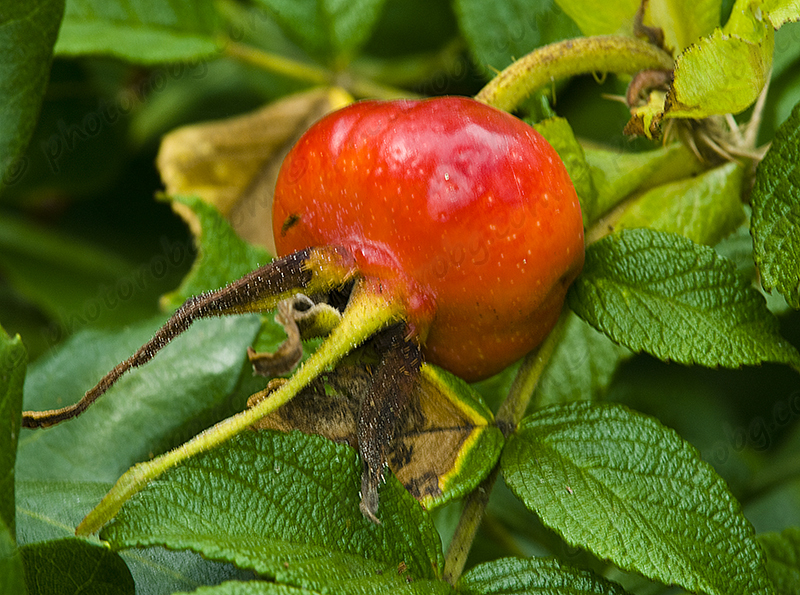 In this species of rose, the hips are large,1--1 1/2" wide. We carefully (prickles!) pick them once they have ripened to deep orange or red in the summer, cut them in half to scoop out the hairy seed-like structures and any caterpillars inside, and can eat them raw, make jam, a fruity sauce, fruit leather, or dehydrate them to use later. 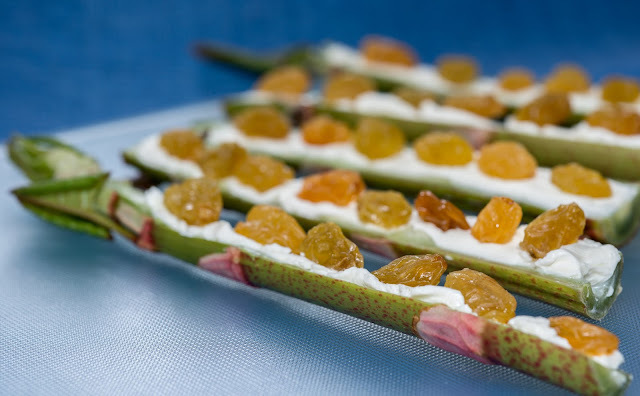 Their flavor is sweet-tart, and very similar to apricots, and they are wonderfully high in Vitamin C.
Seabeans (Salicornia maritima) is a salty treat that can be eaten raw, plucked from tidal areas. 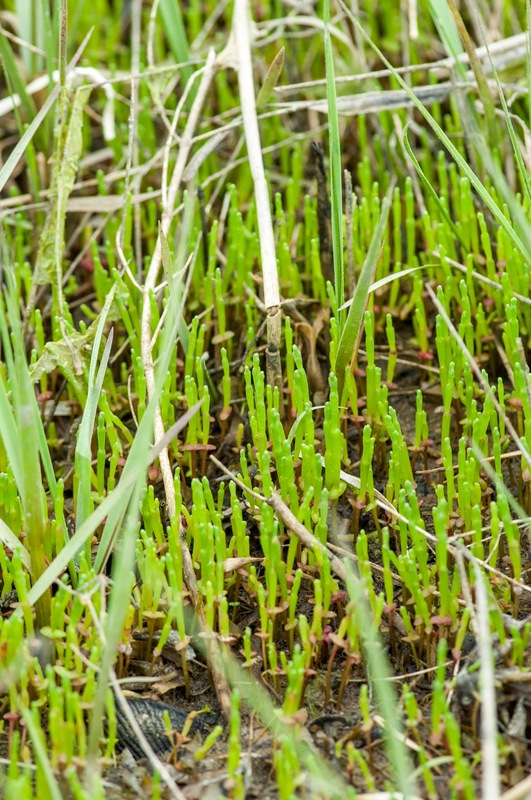 They are also called glasswort, samphire, or sea aspargus. They are juicy, succulent, annual plants that are very salt tolerant and have a great crunch. 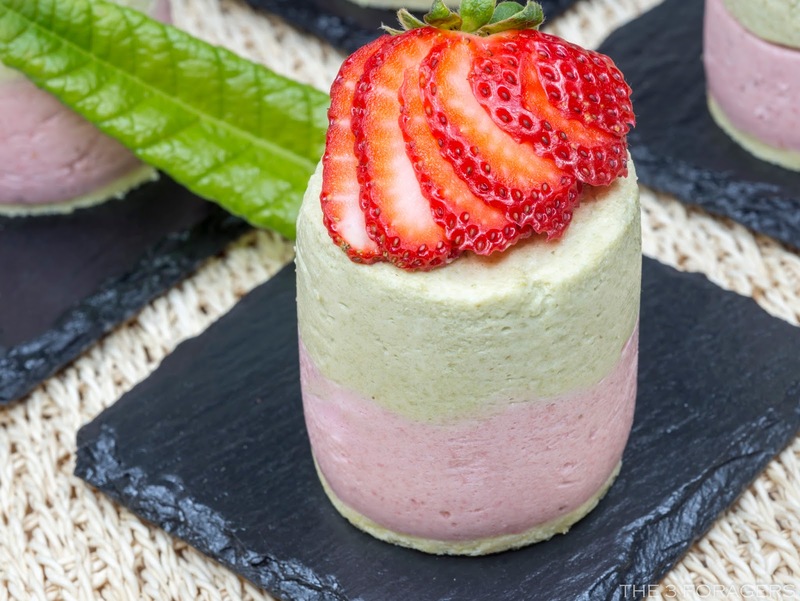 We use them raw mostly to season foods as the salty component--chopped into grain salads, topping savory fingerfoods like deviled eggs or blini, and mixed into dips. We also pickle some to use all year. 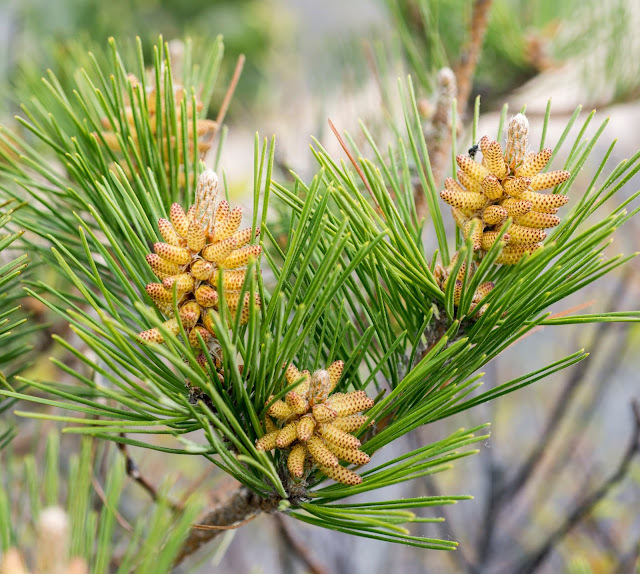 The red pines at the beach were a little ahead of their traditional schedule when it came to pollen production this year, likely due to an unexpected heat wave earlier in the week. We gather the male pollen cones and bring them home to collect the nutritious pollen. They get dried, tossed about to loosen the pollen, and sifted to remove debris, then we keep the pollen in the freezer to use all year in batters and smoothies. 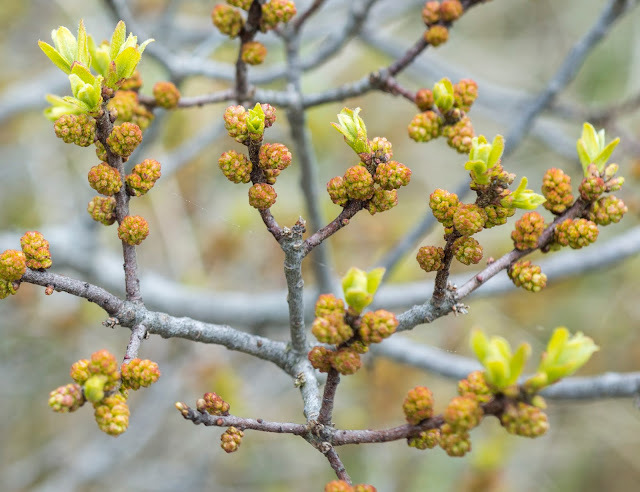 Bayberry shrubs are flowering (Myrica pensylvanica) and starting to put out new leaves. 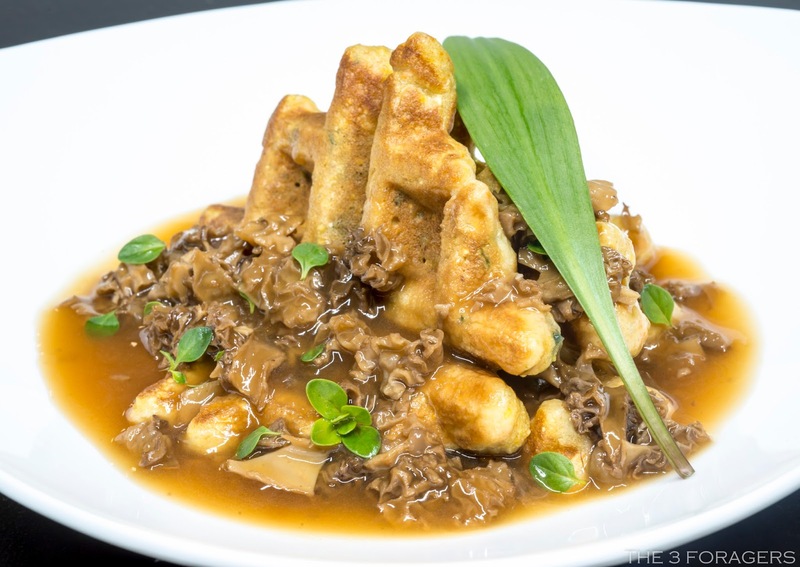 The flowers don't look like a traditional flower, rather like little pine cones on the stems, but the leaves already have the savory, spicy smell. These are not the same as Mediterranean bay leaves, but our native eastern North American equivalent. We use them like traditional bay leaves--in soups for flavor. While they are tender now, they will get tough and leathery in the summer, and can be collected and dried to use all year. 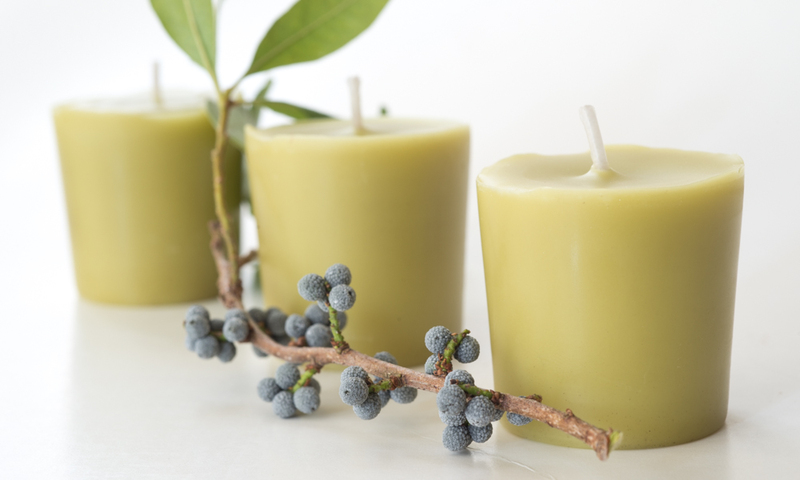 We also collect the hard, grey berries later in the summer to extract a natural wax from their outside, and have used it to make fragrant candles. Visit the eastern seashore now to look for plants to collect later in the season. Beach days aren't just for the kids anymore! 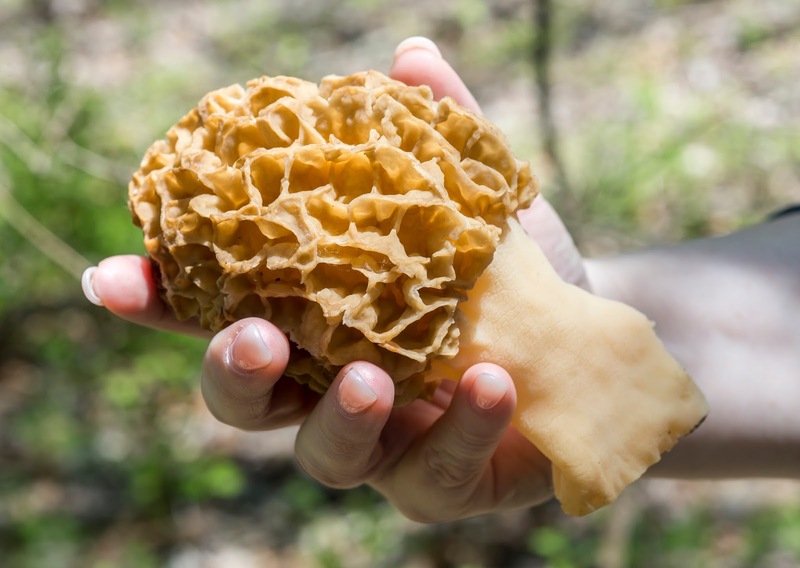 As we are not usually successful morel hunters, we are beyond thrilled to find more recently after a CVMS foray. We hiked with a couple of friends and shared the haul, along with jelly ears and marshmallow-stage hemlock reishi. 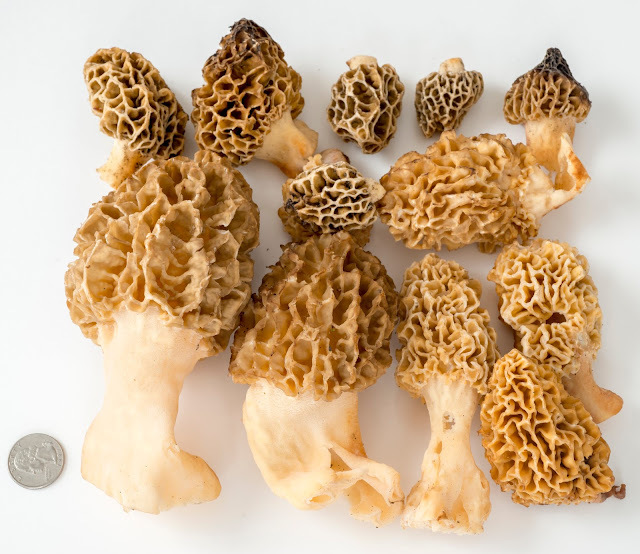 Since we don't get many morels (Morchella americana) each year with which to experiment and cook in various ways while fresh, we usually simply dehydrate them to concentrate their flavor and use at a later date. 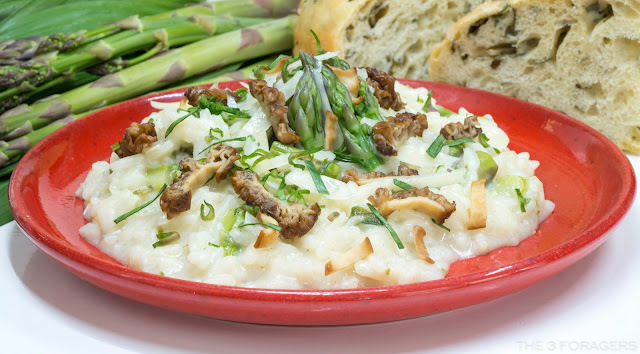 With the two dozen or so we have found this year, we did manage to make some Morels in Madeira Gravy over Savory Ramps Waffles, and some Morel and Asparagus Risotto. Jelly ears (Auricularia auricula-judae) are the black fungus you eat when you order hot and sour soup. 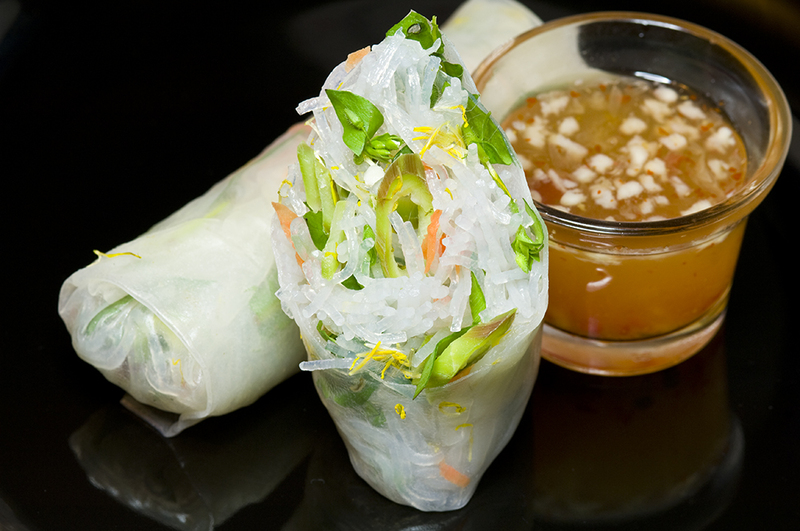 Their flavor is pretty non-existent, but they have an interesting crunchy-jelly texture in stir fries and soups. There are a few dark brown jellies that grow on wood, but only true jelly ears have a fuzzy "top". The other jellies (Exidia recisa or E. glandulosa) are edible as well. 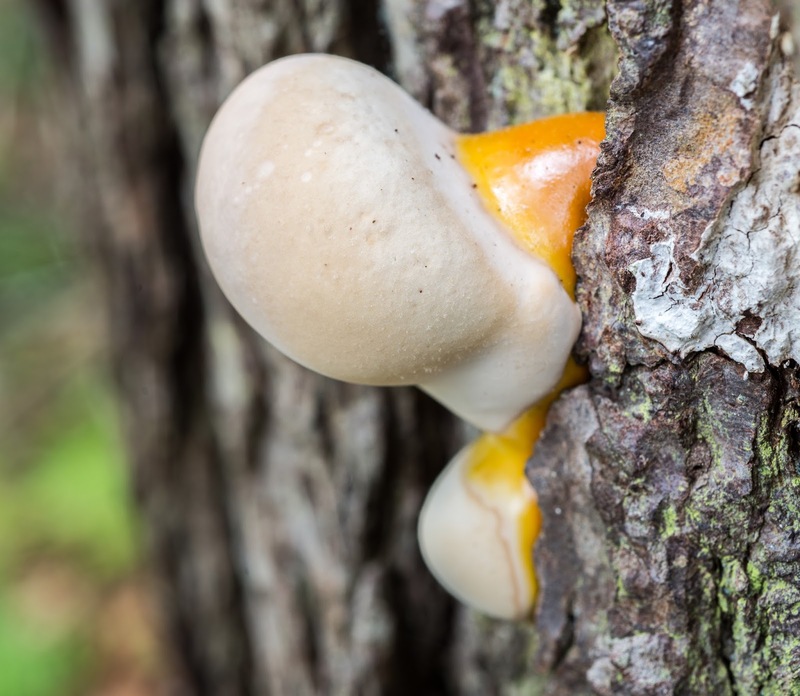 The immature hemlock reishi (Ganoderma tsugae) are tender and solid when still small and pure white, a decent edible, but nothing special. Simply pan fried and hit with some salt, they crisp up nicely. 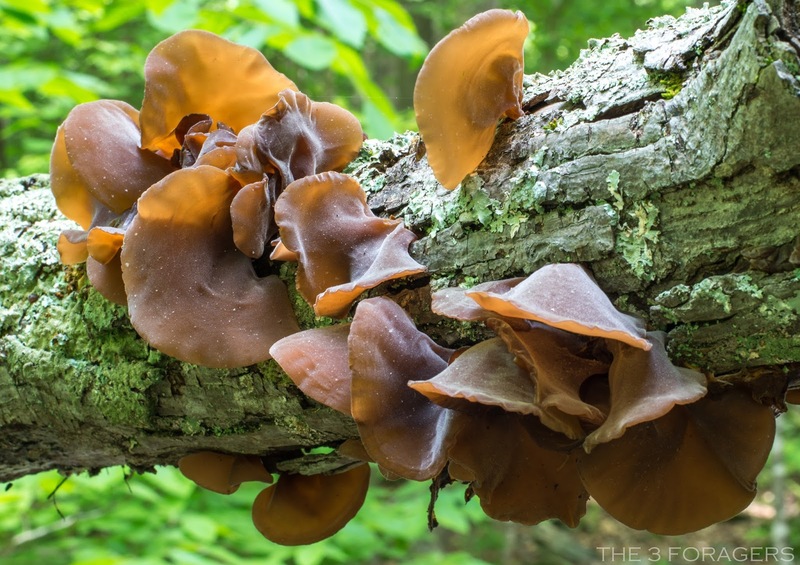 Once they grow a bit more and start showing the orange-red varnished outer coating, they are too fibrous and bitter to eat, but can be collected and used as a medicinal mushroom. 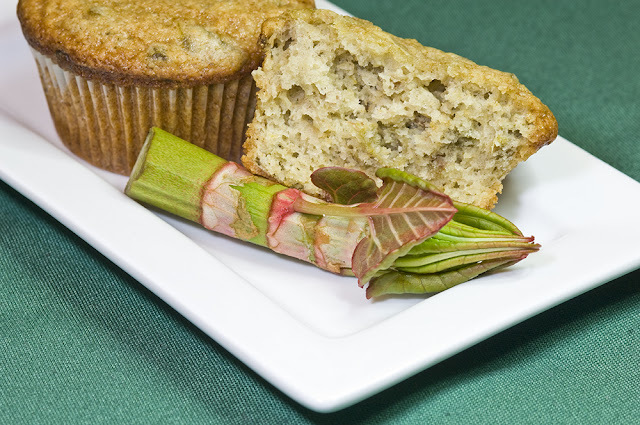 The flavor of Japanese knotweed is often compared to rhubarb or tart green apples, but it also has an earthy, green flavor as well. In our experiences, people either really like it or really dislike it based on the preparation. 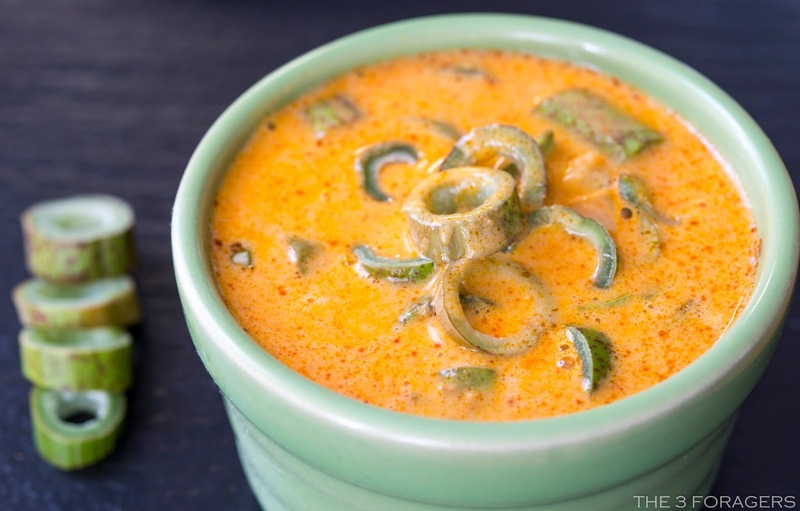 We tend to use it in sweeter recipes like cakes, jelly, or syrups, but we also use it in savory recipes like pickles, grilled with a miso marinade, or raw in a summer roll. Japanese knotweed is a really invasive perennial plant that spreads through aggressive underground rhizomes. 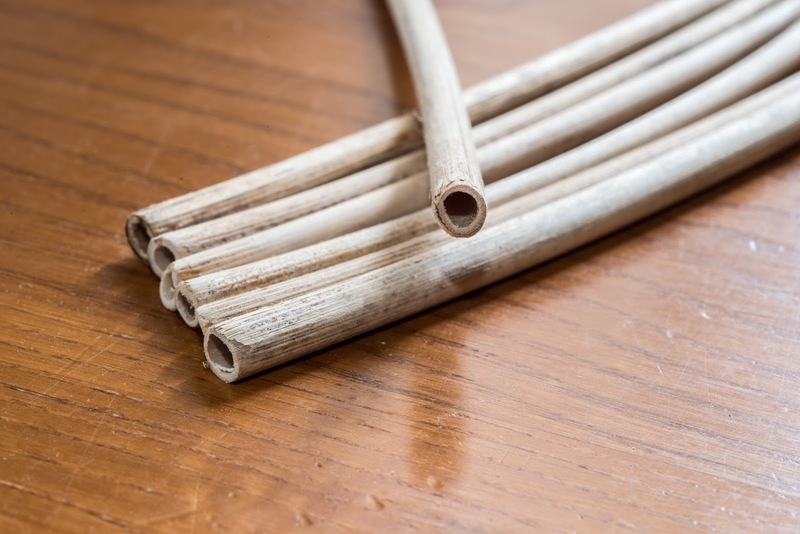 It looks similar to bamboo because it has a hollow stem and joints that form cross walls inside the stem, but knotweed is not related to true bamboo. The shoots emerge looking a bit like asparagus before the leaves start to unfurl, and will be green but deeply mottled or spotted with red. It can grow up to 12 feet tall or more, and will have multiple branches along the main stalk. The leaves of different species can appear slightly different; some are shaped like an elongated heart, while others are shaped like the blade of a shovel with a straight back edge. In the late summer, pretty sprays of white flowers emerge, a great source of food for bees. 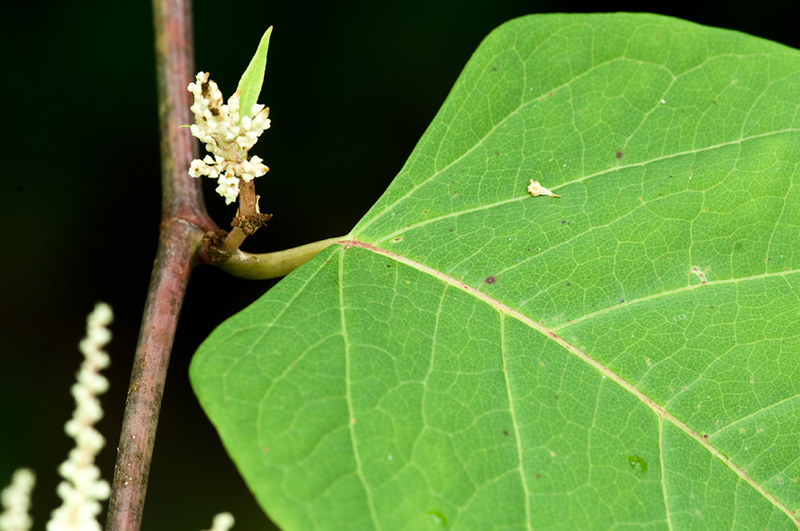 Once pollinated, knotweed produces winged seeds that may persist through the winter. The dried stalks will also last through the winter and it is one of the easiest ways of finding a patch of shoots by looking for the skeletons of last year's knotweed. 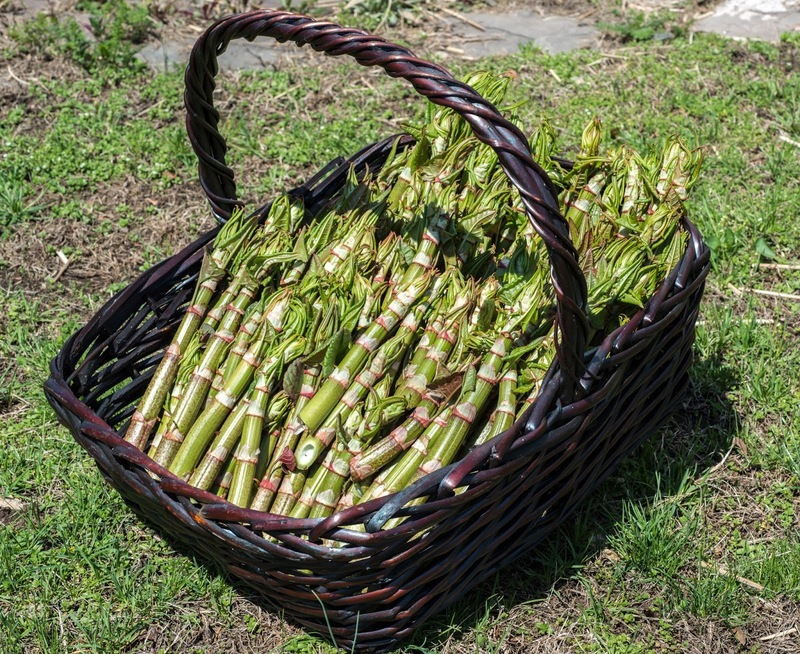 The season to harvest Japanese knotweed shoots in southern New England typically lasts about two weeks when the shoots are less than 10"-12" tall. Once the shoots start to branch out and the leaves have all unfurled, the stem becomes quite tough and woody--not suitable as food. When the knotweed in the southern portion of Connecticut gets too tall, we can start driving north to find shorter shoots to collect and cook. 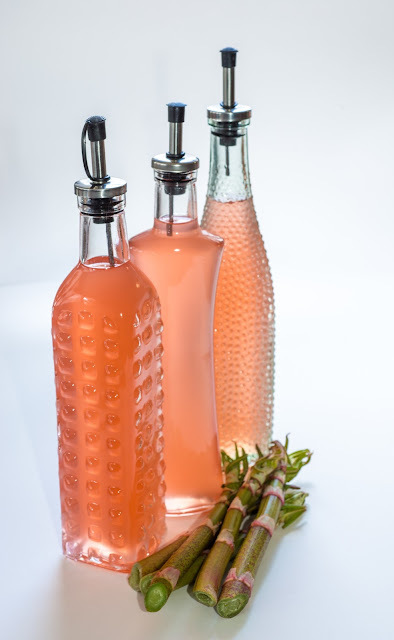 Knotweed doesn't freeze well when raw, but can be dehydrated to make a tart infusion to drink, or can be stewed with sugar and frozen in measured portions for later use in recipes. 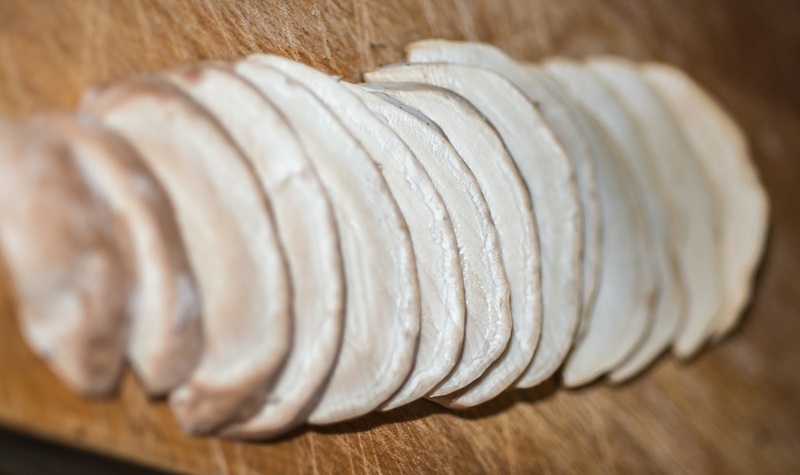 It can also be salted and preserved but will need to be rinsed and soaked to use in recipes. 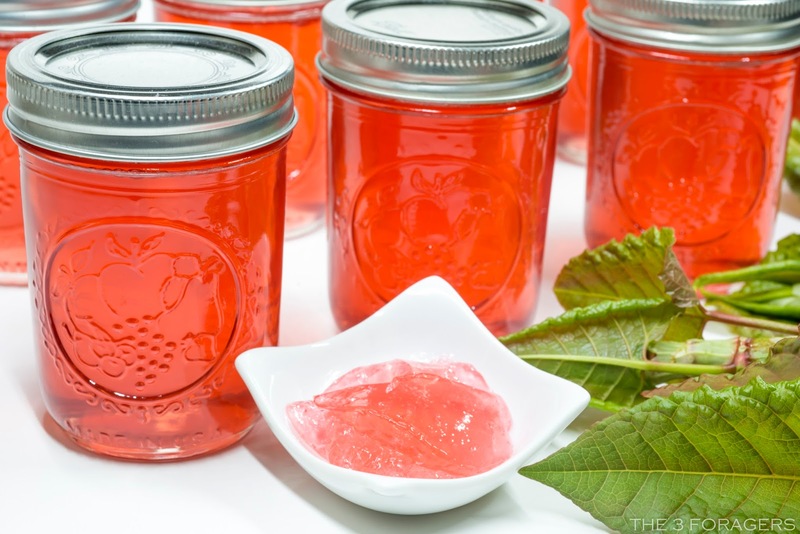 Flavored syrup and jelly made from knotweed will last all year until spring comes around again to start cooking with fresh knotweed. 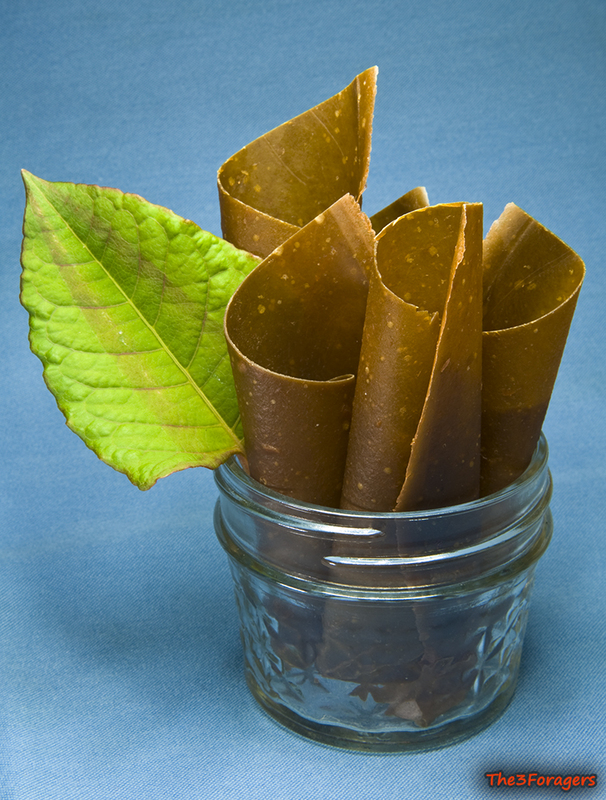 Besides using Japanese knotweed shoots as food, the rhizomes are used medicinally as they are high in resveratrol. 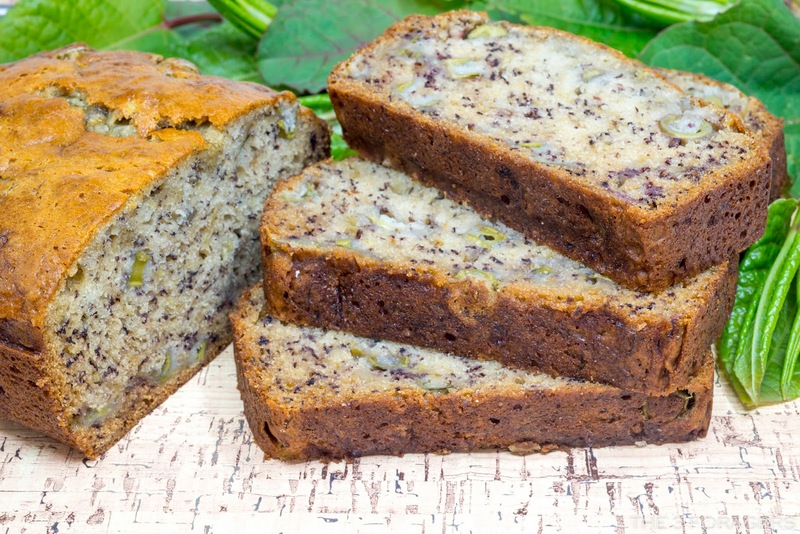 Knotweed may also be useful in treating Lyme disease by fighting off the Lyme spirochetes and providing anti-inflammatory support for the body. 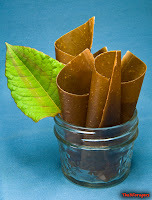 We even use the older, dry parts of knotweed to make biodegradable straws or for use as chopsticks when hiking or camping and we forgot utensils. As kids know, the hollow segments of the dried knotweed stalks also make excellent blowguns, but don't tell mom I showed them! To find many of our Japanese knotweed recipes click HERE.